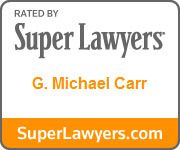 G. Michael Carr - Eastburn & Gray, P.C. G. Michael Carr focuses his practice in the areas of real estate, zoning and land use in Bucks County and throughout Pennsylvania. He handles a broad range of zoning, subdivision and land development matters, including large and small scale residential and commercial properties, as well as all manner of real estate transactions, real estate related litigation, and partition actions. Mike has been appointed by the Bucks County Court of Common Pleas as a Master in such matters. He regularly appears on behalf of his clients before municipal governing bodies, planning commissions, zoning hearing boards, historic and architectural review boards, state administrative agencies and county, state and federal courts. He also handles a broad range of residential and commercial real estate matters, including transactional work related to all aspects of sales, acquisitions, condominiums, leases, easements and declarations. Mike has successfully handled numerous sophisticated land use appeals in the Pennsylvania Appellate Courts, including before the Pennsylvania Supreme Court. His practice regularly involves interaction with and representation before administrative agencies including Pennsylvania Department of Environmental Protection, Pennsylvania Labor and Industry, Department of Conservation and Natural Resources, Pennsylvania Department of Transportation, and the Pennsylvania Historic and Museum Commission. Mike has acted as a presenter and moderator in Continuing Legal Education classes for lawyers, realtors, and community groups with respect to legislative and land use issues. Mike has been an active member of the Bucks County Bar Association and previously served as the Chairman of the Land Use and Real Estate Section. A member of the Pennsylvania Bar, Mr. Carr is also admitted to practice in New Jersey, the United States District Court for the District of New Jersey, and the United States District Court for the Eastern District of Pennsylvania. Mr. Carr earned his law degree from Temple University’s Beasley School of Law, Philadelphia, Pennsylvania. 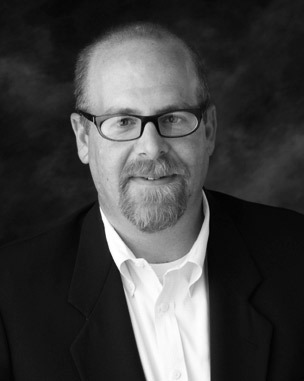 He earned his undergraduate degree in History and Pre Law from Grove City College in 1989.